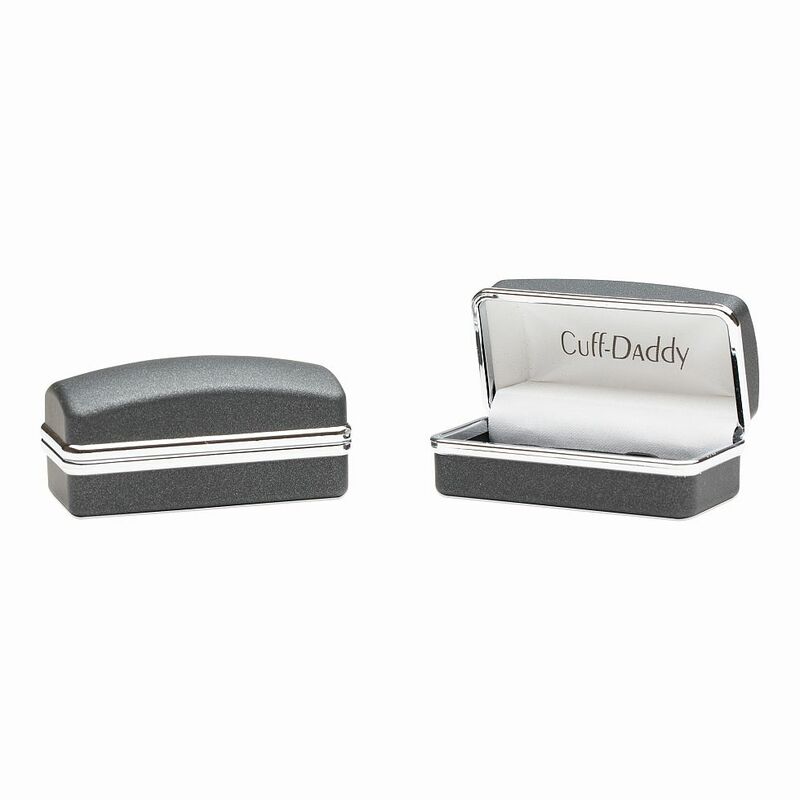 This is a modern-looking cuff link set that exudes sophistication. 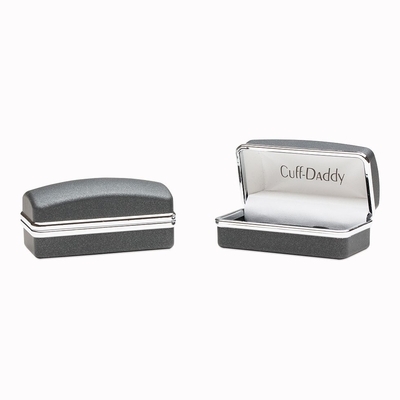 Each cufflink is a gun-metal colored rectangle in which a mother-of-pearl stripe has been added to create a simple, yet extremely elegant design. 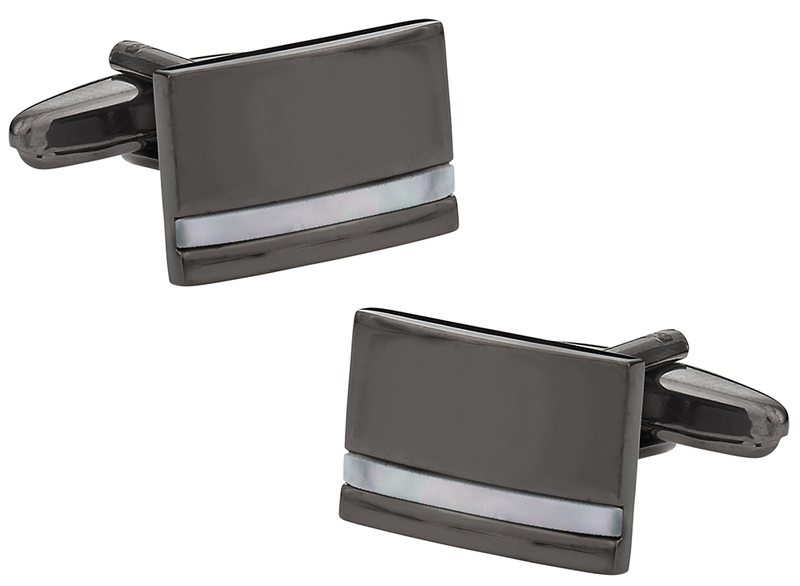 Given the neutral appearance of these cufflinks, they can be worn with pretty much any type and color of shirt that's in your wardrobe; that's how versatile they are! You can use these as a great gift for anyone as they come with their own special gift box, or you can keep the pair all for yourself and enjoy it for years to come as they are built to be durable. these metal cuffs are really trendy looking. they are sophisticated and can be worn to and at any event. really classy.